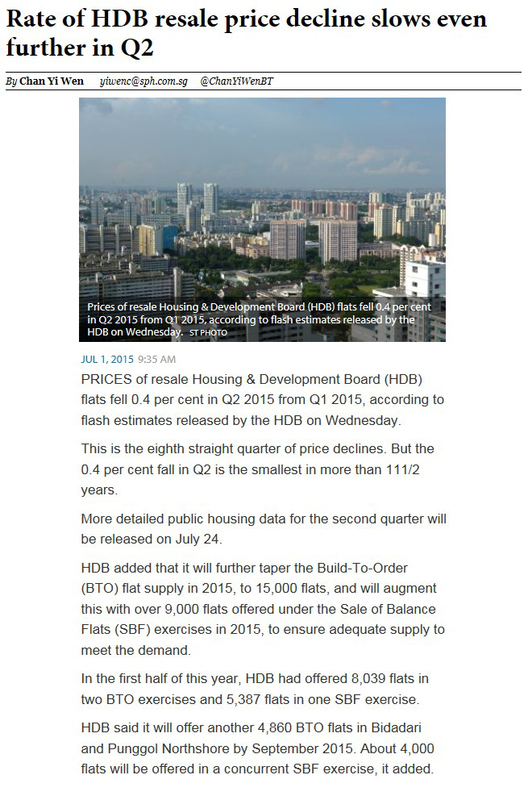 PRICES of resale Housing & Development Board (HDB) flats fell 0.4 per cent in Q2 2015 from Q1 2015, according to flash estimates released by the HDB on Wednesday. This is the eighth straight quarter of price declines. But the 0.4 per cent fall in Q2 is the smallest in more than 111/2 years.